Instantly downloadable sheet music (Musiknoten zum herunterladen und ausdrucken) von Oscar II Hammerstein for choir and piano (SATB) of MEDIUM skill level. Instantly downloadable sheet music (Musiknoten zum herunterladen und ausdrucken) von Marcos Valle for choir and piano (SATB) of MEDIUM skill level. Instantly downloadable sheet music (Musiknoten zum herunterladen und ausdrucken) von Lorenz Hart for choir and piano (SATB) of MEDIUM skill level. Instantly downloadable sheet music (Musiknoten zum herunterladen und ausdrucken) von Burt Bacharach for choir and piano (SATB) of MEDIUM skill level. Instantly downloadable sheet music (Musiknoten zum herunterladen und ausdrucken) von Carl Sigman for choir and piano (SATB) of MEDIUM skill level. Instantly downloadable sheet music (Musiknoten zum herunterladen und ausdrucken) von Carolyn Leigh for choir and piano (SATB) of MEDIUM skill level. Instantly downloadable sheet music (Musiknoten zum herunterladen und ausdrucken) von Barry Mann for choir and piano (SATB) of MEDIUM skill level. Instantly downloadable sheet music (Musiknoten zum herunterladen und ausdrucken) von Albert A. Beach for choir and piano (SATB) of MEDIUM skill level. Instantly downloadable sheet music (Musiknoten zum herunterladen und ausdrucken) von Al Bryan for choir and piano (SATB) of MEDIUM skill level. Instantly downloadable sheet music (Musiknoten zum herunterladen und ausdrucken) von Al Hoffman for choir and piano (SATB) of MEDIUM skill level. Instantly downloadable sheet music (Musiknoten zum herunterladen und ausdrucken) von Alan Bergman for choir and piano (SATB) of MEDIUM skill level. Instantly downloadable sheet music (Musiknoten zum herunterladen und ausdrucken) von Jimmy Van Heusen for choir and piano (SATB) of MEDIUM skill level. Instantly downloadable sheet music (Musiknoten zum herunterladen und ausdrucken) von Van Alexander for choir and piano (SATB) of MEDIUM skill level. Instantly downloadable sheet music (Musiknoten zum herunterladen und ausdrucken) von Tony Springer for choir and piano (SATB) of MEDIUM skill level. 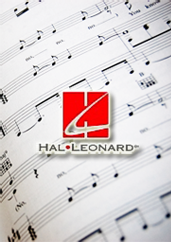 Instantly downloadable sheet music (Musiknoten zum herunterladen und ausdrucken) von Ray Henderson for choir and piano (SATB) of MEDIUM skill level. Instantly downloadable sheet music (Musiknoten zum herunterladen und ausdrucken) von Leslie Bricusse for choir and piano (SATB) of MEDIUM skill level.